Saw this view above the housetops on a recent walk and just couldn't resist taking a shot. It was one of those perfect days! What more can you ask from nature? I love the contrast of colors and the intensity of the sky. 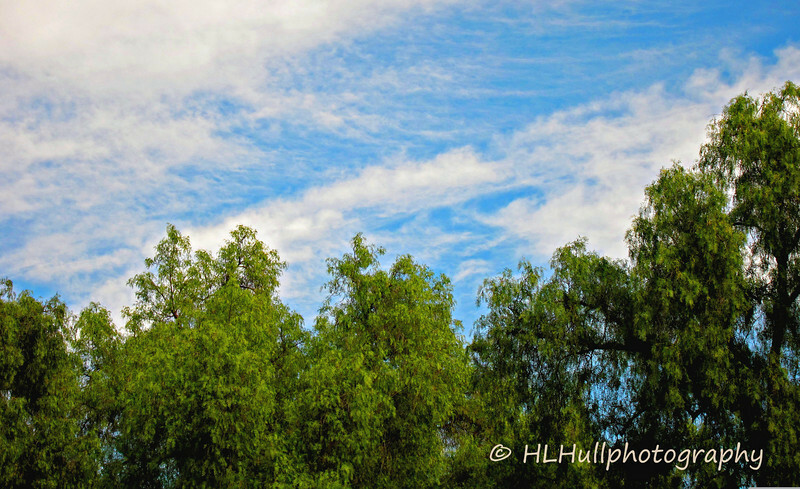 I love the clouds and trees. You got some great texture and color. What keeps my attention is the perspective. It's almost like we're on top of the world. Beautiful capture of a beautiful day.